Thanks for sharing. I’m very excited about this project, and I can’t wait for you all to hear it! So what kind of style should we expect from these new songs? Would like to see where this is going musically. What little you hear in the background on the video almost reminds me of Skillet. I'd be okay with that, but would prefer something a bit more metal. Luke, can you tell us more about the direction of the music, please? It's a rock record. Guitars, bass, drums and lots of vocals. Did my best to not do anything reminiscent of my old band. Tim Gaines makes an appearance on one song. The bulk of the record features David Bach on bass, Jess Sprinkle on drums, and Josiah Prince playing leads. My producer, Kris Kanoho, played the rest of the guitars. Don't judge the project by the music bed in the video - that's not my stuff. Just a loop that worked for the promo. Well this came by surprise! I'm definitely interested and will be backing this as soon as I'm financially more stable. Can't go higher than just getting the cd, but I'll do what I can to support this project. By the way Luke, have you actually written all (or some) of the music too in this album? Can't wait, so looking forward to this. Airola, $7 gets you the music. I can't remember any other crowd funding campaign with an entry point that low. You can't even get a fast food combo meal for that price any more. Wigeon wrote: Can't wait, so looking forward to this. Airola, $7 gets you the music. I can't remember any other crowd funding campaign with an entry point that low. You can't even get a fast food combo meal for that price any more. Sure. I will definitely get the $7 digital download if I can't get the CD as I'm really excited about this album, but trying to get the CD is my first priority. I want the physical album but with shipping it will cost me $30 and right now I'm not sure I can do that. I'm aiming for saving some cash to be able to do that though. I have no idea what kind of music is coming out of this. Luke was in Tourniquet only and apparently Ted doesn't give too much space for other members to come with some ideas. I also wonder how will Luke's voice sound on an album that apparently isn't metal or the kind of metal we are used to. On the other hand, some of the guys are right. Seven dollars for a download is a price that certainly worth coming aboard. 108% funded. Really cool. I am about to back it as well. Yeah it's good to see it's going well for him. I managed to back it too. Not only for the digital download but I'm now getting the cd too. $30 is quite a bit for an EP but it's now paid and I don't have to worry about it anymore. Not sure if anyone's interested, but the record was delivered to manufacturing yesterday. Backer perks should ship by the end of May, and general release info will be announced shortly. SWEET! Lookin' forward to hear what has been going on in your head since the TQ days. Thanks Luke. For those of you following along at home, backer perks shipped this past weekend and downloads will be emailed by late tonight. Thanks Luke, this has to easily be the fastest turnaround crowdfunder ever! ....and I still await the new Tourniquet album that I helped fund a long time ago!!! Got the download and have listened through it once as I'm starting to write this. 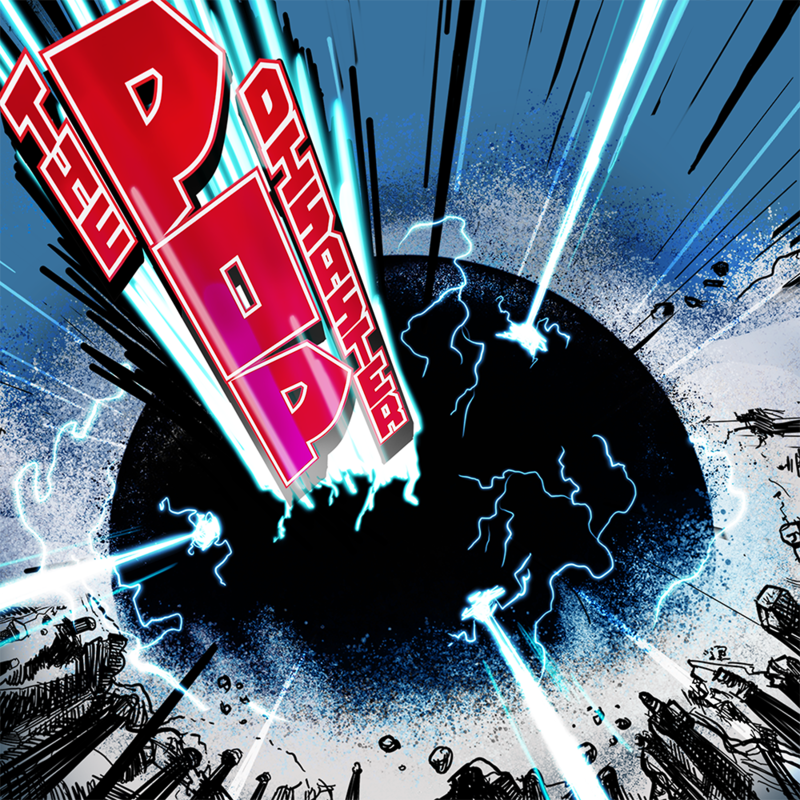 The album title is THE POP DISASTER. The cover looks really good, as does the layout cover booklet the download included as a pdf form. It's mostly too upbeat and happy for my liking, as I'm way more into melancholic music. The songs are in major key instead of minor, which makes it hard for me to get into it that much - with the exception of the last song which has a bit of melancholy to it. My favorite track is the last one: Sleep. That one is different from the rest as it doesn't have drums and it has violin and cello - and a bit of the melancholy I so much missed when going through the previous tracks. This song is still mostly in major key but in a more enjoyable way. This one was the first song in the album that I actually immediately wanted to hear a second time. Now going through the album a second time, Sleep is still the absolute highlight for me and I've gotten a bit more used to the overall happiness of the album. The rest of the songs sound more enjoyable, but I still miss minor chords and scales a lot. I doubt Luke wants to compare this to Tourniquet in any way, but we can't ignore history and people are probably really interested to hear where it musically falls in line when compared to Tourniquet. The answer is, as Luke has already mentioned in the campaign, pretty much none, pretty much completely zero. Put a gun in my head and force me to find the closest songs from the Tourniquet catalog, and I would probably say Twilight and Heads I Win Tails You Lose, but with more rock edge to them and more modern production, and the album is still quite a bit different from those tracks. A happy commercial sounding soft pop rock song with a catchy chorus. Tim Gaines is on bass in this one. Faster song that sounds a bit like pop punk. This is something that would've easily fit in a Green Day or Avril Lavigne album. Back to softer rock. Super catchy chorus. There's something in a couple of parts with the background guitar that reminds me of U2. Faster track. Not as fast as track 2 but faster than the other ones. For some reason this is not as memorable as the rest of the tracks. Cool bass track. Sounds maybe a bit more of a regular hard rock song than a pure pop rock song - not that this isn't pop rock too, but there's this certain edge to it gives to me more of a hard rock feel to it. Back to softer rock. Back to more commercial and catchy elements. I would say during the first listen this was my favorite track before I heard the next one. Acoustic guitar, violin, cello, no drums. Very moody track. My favorite on the album. Now that I've gotten used to the happiness of the album, I keep on getting back to Sleep and Sideways. Both are very good songs. If a music that sounds HAPPY doesn't bother you, if you are more into the first 8 happier tracks of Stryper's Against the Law instead of the last three more dark and intense tracks of it (not that this album sounds like Stryper), if you like to listen to a best of album by Creedence Clearwater Revival or Smokie or ELO without wanting to skip through the happy tracks looking for the one darker and edgier song that might or might not be there, if you have no problem to listen to the happier and more poppy tracks by Green Day or Avril Lavigne or [insert a 2000's rock band here], or if you like Bon Jovi and listening to the solo albums of Jon Bon Jovi and Richie Sambora only makes you even more excited - I see no reason why you wouldn't like this album. For what it is - a happy pop rock album that takes steps to harder rock and then softer rock and with a hint of pop punk in one song while going for moody violin in another - it is really well made. If you can't stand happy sounding music, you will probably not like this at all. If you can't stand commercial pop rock, you will probably not like it either. If you are fine with those, I think you will enjoy the album a lot. There are catchy pop hooks and the songwriting is of commercial quality, which really surprised me. Nice review Airola. I agree with most of it and I too am very fond of Sideways and Sleep. While it has a "happy" sound overall, the lyrical themes that seem to permeate the album tend to darken it enough to make it really interesting in my opinion. I really like every single song on the album. It has exceeded my expectations and I have been very emotionally moved by the album as I've been listening to it several times today. I love everything about it - the vocals, the lyrics, the music, the honesty and rawness, the whole vibe. I've been a fan of Luke since the beginning when I saw him live for the first time in 1993 right after he joined the "band". This album is the icing on the cake for me. I would add that Misspent has a very Bon Jovi vibe to it, but in a good way (sorry/not sorry Luke). I really hope this opens up some new opportunities for more music to come. Can't wait to hear the new Gary Lenaire song with Luke on it and hopefully much more music in the future from Luke. Wigeon wrote: Nice review Airola. I agree with most of it and I too am very fond of Sideways and Sleep. While it has a "happy" sound overall, the lyrical themes that seem to permeate the album tend to darken it enough to make it really interesting in my opinion. I really like every single song on the album. It has exceeded my expectations and I have been very emotionally moved by the album as I've been listening to it several times today. I love everything about it - the vocals, the lyrics, the music, the honesty and rawness, the whole vibe. I've been a fan of Luke since the beginning when I saw him live for the first time in 1993 right after he joined the "band". This album is the icing on the cake for me. I would add that Misspent has a very Bon Jovi vibe to it, but in a good way (sorry/not sorry Luke). I really hope this opens up some new opportunities for more music to come. Can't wait to hear the new Gary Lenaire song with Luke on it and hopefully much more music in the future from Luke. What the?? ... Luke singing on a Gary Lenaire song?!! How did this happen? Is Luke on good terms with both Gary, and Ted? I knew they had been great friends when they were both in Tourniquet. I recall Luke telling in an interview like maybe 10-15 years ago in now nonexistent Roger Martinez' Warpath forum that he and Gary were really good friends (or... I think it was Luke... Maybe it was Gary... nah, I think it was Luke). And I thought they probably are still in good terms. Maybe he even said that himself. Where can I buy this? Money was tight during the crowdfunding campaign so I couldn't support. I'd love to pick up a CD now though. eatbugs wrote: Where can I buy this? Money was tight during the crowdfunding campaign so I couldn't support. I'd love to pick up a CD now though. The official release seems to be June 15th. The backers have got it early. Yes, backers should get it before the rest of us. I'll just be happy to get one period. This has got to be one of the fastest crowdfunding campaigns ever. Major props to Luke for handling the whole thing exceptionally well! Airola wrote: Got the CD today! Thanks! I hope you're enjoying the record! Been listening to it at least once a day for the past two weeks and I cannot get enough. More music like this soon please! DUDE! This IS GREAT STUFF. Just bought it on iTunes. Musically my comparison would be Altar Boys due to the positive vibe and catchy tunes. I was afraid the rasp was gone due to some of the comments but it’s there, it’s the voice we know. The music style is definitely not my cup of tea but those vocals deserve a HUGE compliment! I love Tourniquet's MVOATR and WMAD albums and listened to Acoustic Archives a thousand times. So I never had a problem with Luke's vocals but I always understood those people who said that it was not "the perfect marriage". Now this is a totally different animal! Music and vocals fit 100% perfect and it's an outstanding performance! I'm just frustrated about the fact that I don't have any friends who listen to 80's rock. So there's nobody I can recommend this album to. And it definitely deserves to receive a lot of attention! BTW: I also love the artwork / layout. Really cool! Just listened to the samples over on Bandcamp. I like it. The vocals remind me a little of Jamie Rowe. After I’m Gone is my favorite track. And I’ve changed my mind — Jamie Rowe solo is a better comparison than Altar Boys. He could have just as well written all these songs, which have a Chrsitian worldview but are not openly Biblical. heck wrote: After I’m Gone is my favorite track. And I’ve changed my mind — Jamie Rowe solo is a better comparison than Altar Boys. He could have just as well written all these songs, which have a Chrsitian worldview but are not openly Biblical. It is a great track. I never thought I would say something like this, but I love the country groove, especially the guitar solo. Sorry, but I've been listening to Jamie Rowe since 1989 or 90, and Luke since 1993, and I do not hear any similarities. Maybe I'm missing something. Either way, this is a great album and I cannot stop listening to it. Gotcha. Haven't listened to much of either of those, so will have to check them out. Luke's album in some ways reminds me of the poppy catchiness of the Angry Einsteins' (X- X-Sinner guys') album from what I remember about it. 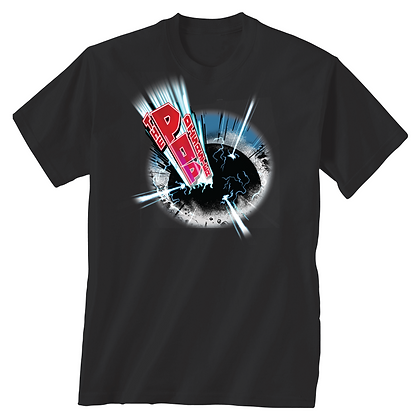 If you're interested, the new website is up where you can preorder the new The Pop Disaster t-shirts. I finally picked this up a few weeks ago. Great stuff, I'm not sure which song is my favorite yet (maybe "Sleep" is my least favorite but I like them all). That's quite the all-star cast of musicians on it too. Any plans for a full-length? This album is definitely standing the test of time and is not getting old. If you don't have it yet you are truly missing out. Luke is a great song writer and his variety of vocals and styles on this album are truly amazing. I've been wanting to do a full review of this album since it came out but I'm not sure I can add much to the great reviews I've already read. Instead, I want to talk some more about how great of a masterpiece that Sideways is. I love how it opens with Luke's voice and then the acoustic guitar comes in a second or two later. The clean electric guitar and drums come in, building up to the part where Luke pauses and totally switches gears into his higher range with the words "Went up in flames...". It gives me chills and reminds us of the range and variety of vocals that Luke has blessed us with for so many years. The range and dynamics of his voice in the chorus are truly awesome. The vocals in the chorus remind me of a cross between Bon Jovi and that guy from Soul Asylum, but better. The happy, staccato, offbeat pop rhythm comes in briefly to end the chorus and leads into the U2-like "jingle-jangle" chiming guitar sound in the second verse. Just when you think it can't get any better or more diverse, the angelic choir sound of the background vocals briefly accompany Luke's voice until he turns from Dr. Jeckyl to Mr. Hyde (or is it the other way around? Whatever, you get the point) again and shifts into high gear with "The wreckage of our lives...". The chorus is taken up another notch, this time with the background vocals. The staccato beat appears with the next interlude, but lasts longer this time with a subtle psychedelic phased guitar singing in the background. I love how this interlude ends on a positive note with the lyrics "I know I'll be better in the end..." and leads to the truly great guitar solo from Josiah which fits perfectly with the song. Angelic background vocals make another appearance. I love how the song ends with a vocal and the lyrics that the song started with, and how the subtle tambourine fades out. This is the perfect song with so many layers, nuances, dynamics, and emotions. Thank you Luke. It’s been a regular treadmill jam at the gym for me. I’ve paid for stuff only played once and this is not it. Every song is envisioned and executed so well....catchy too. Reminds me an awful lot of what Bon Jovi has sounded like lately, music for 40 year old moms in mini vans. Feel free, and feel free to use my real name, or Wigeon, or anonymous, or whatever.